Announcement WIN a FREE mug! Like our FB Page and watch for our next mug giveaway! WIN a FREE mug! Like our FB Page and watch for our next mug giveaway! My cup arrived on time as it is part of an Easter gift. Absolutely love the cup and my son will as well. This mug is fabulous!! It makes the perfect gift for my son ! I love buying from small businesses it’s the little details that make it worth it !! Great product, quick shipping and excellent communication with the seller. 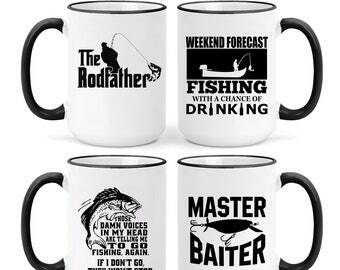 Mugs 4 Men - A Gift He'll Actually Use! The Mugs 4 Men Brand was established in 2019 by Derek Smith. Growing up in a male-dominated Irish family, male traditions were honored and celebrated by Derek and his family. A true artist at heart, Derek created the Mugs 4 Men Brand to be a creative outlet that celebrates manliness and tradition on a coffee mug. Derek has been a coffee mug artisan for over 5 years, crafting mugs for himself, his family, and friends. Today, using modern-day mug sublimation and heat pressing, Mugs 4 Men combines the very best industry practices and technologies to reproduce artist rendered designs on sleek, 15 oz (large) coffee mugs. 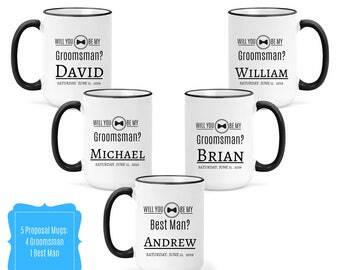 Mugs 4 Men’s mugs are above average in size and have a unique black coating on the mug’s rim and handle that bring the mug image to life. Look no further than Mugs 4 Men when looking for unique hand-crafted gifts for the men in your life. Derek is the founder of Mugs 4 Men. As the store operator, he's responsible for everything from creating mugs, packaging and shipping orders, and running customer service. To fulfill your order, you must provide me with certain information (which you authorized Etsy to provide to me), such as your name, email address, postal address, payment information (I do not personally see your payment information, credit card details, etc- as these are processed securely through Etsy), and the details of the product that you’re ordering. You may also choose to provide me with additional personal information (for a custom order, for example), if you contact me directly via Etsy messages or through a private note attached to your order. -Shipping Service providers. I engage certain trusted third parties to perform functions and provide services to my shop, such as delivery companies. The shipping service I primarily use is USPS (United States Postal Service). I will share your personal information with these third parties, but only to the extent necessary to perform these services and ship your order. -Object. You can object to my processing of some of your information based on my legitimate interests and receiving marketing messages from me after providing your express consent to receive them. In such cases, I will delete your personal information unless I have compelling and legitimate grounds to continue using that information or if it is needed for legal reasons. To opt out of emails that you have previously given me personal consent to join, you may also click the "unsubscribe" button at the bottom of any emails sent to you from my shop. This does not include messages direct from Etsy, as I do not send these emails personally and you would need to unsubscribe from Etsy's specific emails and services in order to retract your consent. For purposes of EU data protection law, I, Derek Smith, am the data controller of your personal information within my shop at Mugs 4 Men on Etsy.com. If you have any questions or concerns, you may contact me at support@mugs4men.com. Alternately, you may mail me at 22865 Cyman Ave, Warren, MI 48091.